I have always loved staying in a Bed and Breakfast, there's just something so charming about them. As children my Mum would quite often check us into a B&B when we went away so it's no surprise that I've grown up much preferring them to hotels. 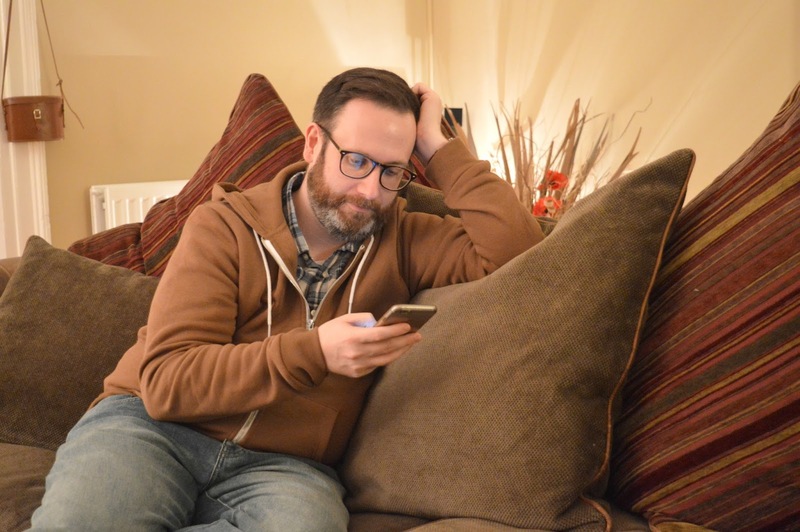 So when I was invited to enjoy a luxury country staycation at the Grange Bed and Breakfast in Northumberland I was packing my bag before I'd even checked with the husband! 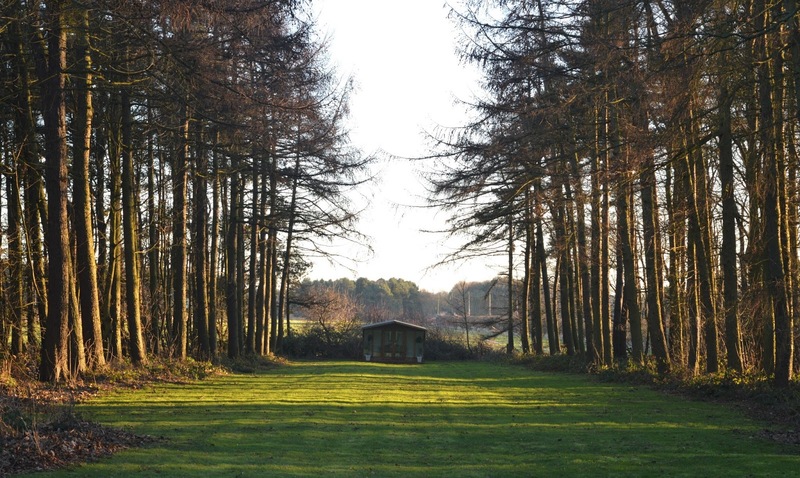 I'm often asked on Twitter for accommodation recommendations and happily share some of my favourite hotels in the centre of Newcastle but what about those people who prefer an idyllic luxury escape to the countryside? 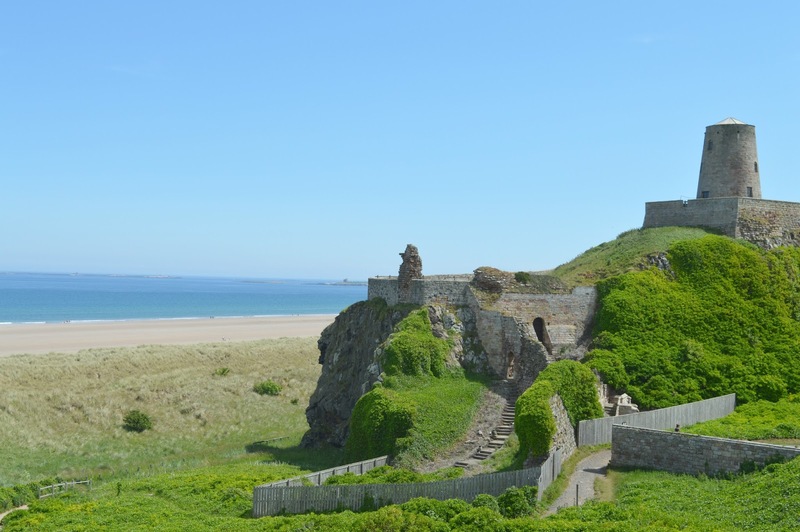 Somewhere that's not just close to the city but also the coastline and countryside that the North East is famed for? 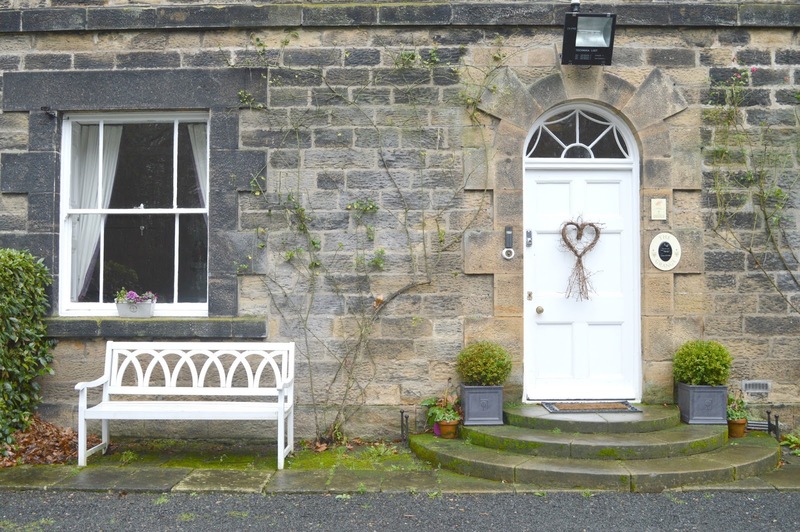 You'll find The Grange Bed and Breakfast just off the A1, only 7 miles from Newcastle yet snuggled just inside the countryside of Northumberland. Close to the buzz of the city, a short drive from the Metrocentre and only a few miles from Newcastle Airport, the Grange is ideally located and the perfect spot for a short stopover, long weekend or even a weeks holiday. 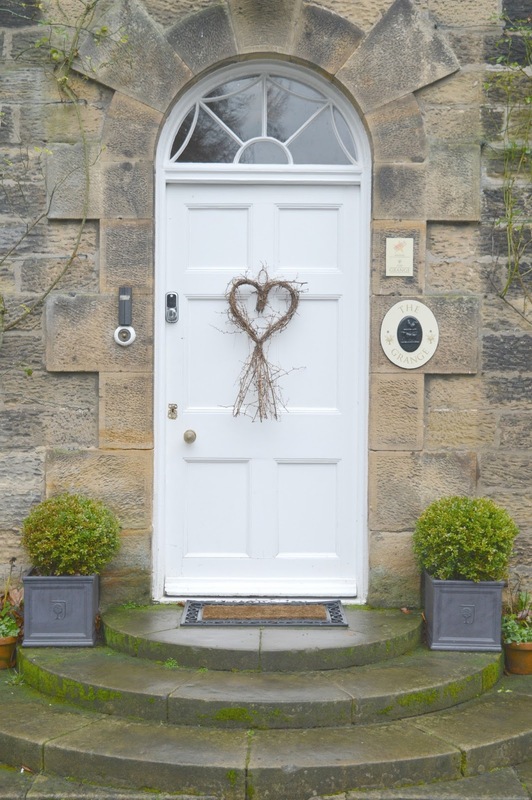 A great base for the explorer The Grange B&B is driving distance to Hadrian's Wall, a few miles from the breathtaking Northumberland coastline and close to the market town of Morpeth. 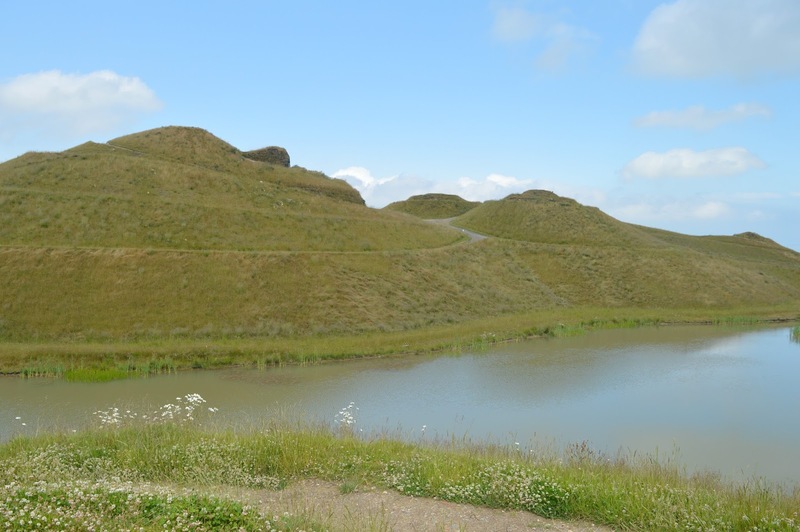 For lazy days there's even great adventure to be found right on the doorstep with The Parlour at Blagdon (one of our favourite tearooms) a few doors away, the wonderful shops of the Blagdon Estate across the road and round the corner from the stunning Northumberlandia. The Grange is a great base not only for a weekend stay but also for a week long visit with free car parking and even organised airport transfers! Owners, Penny and Paul have a huge amount of love for the North East and their enthusiasm is infectious. 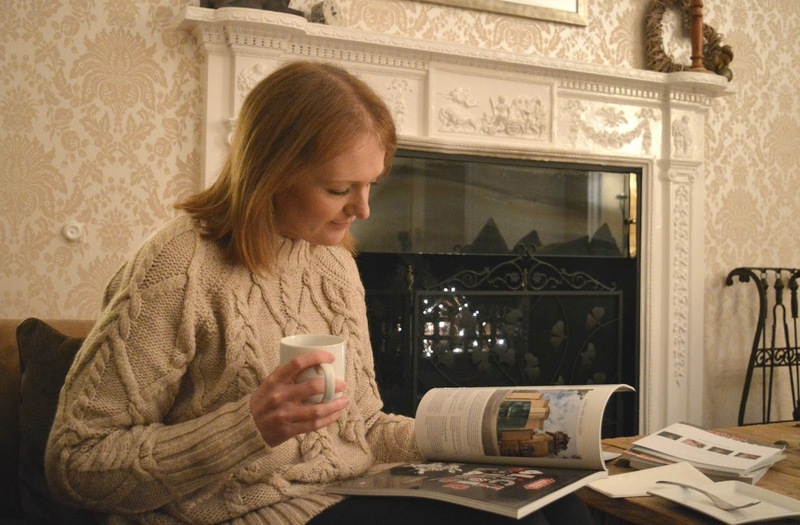 If you're a visitor to the North East you'll definitely be in good hands at The Grange B&B and you'll even find "Paul and Penny's Guide" in your bedroom, setting out plenty of recommendations on places to visit in the area. I read it cover to cover and found myself feeling quite jealous of visitors who get to experience the North East for the first time. I'm planning on following a lot of their guides myself this year. 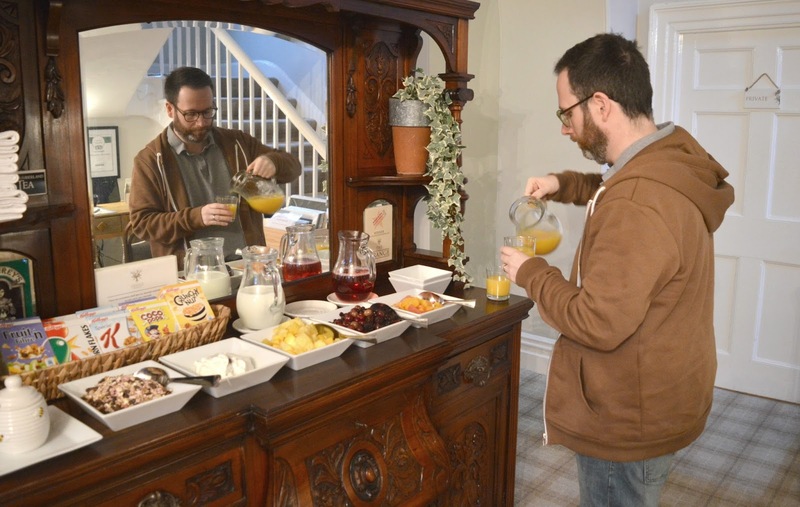 There's something so charming about staying in a Bed and Breakfast and when our car pulled into the drive I immediately knew we were in for a treat. The Grange is stunning! Built in 1817, the Grade II listed Georgian building is part of the Blagdon Estate, home of Lord Ridley. The Ridley family have lived at Blagdon for over 300 years and the house is full of history. 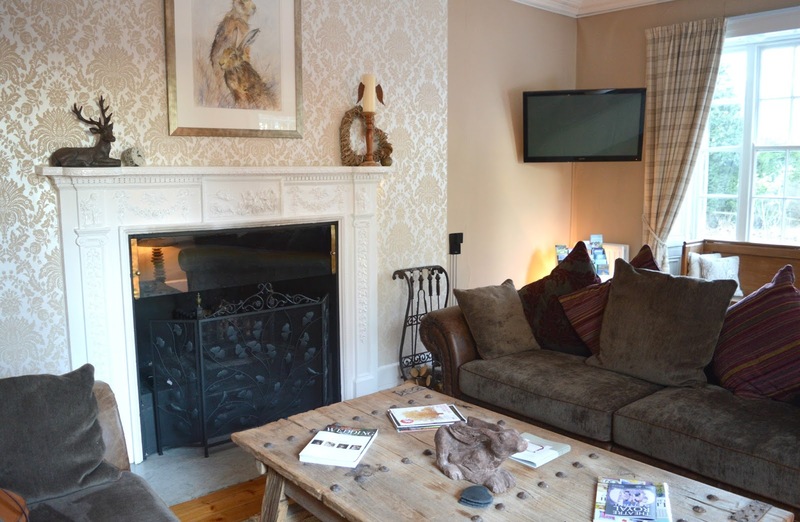 Comfortable and luxurious is a great way to describe The Grange, the B&B pride themselves as being a place to experience a champagne lifestyle on a lemonade budget and as that's pretty much my life motto, I knew this really would be a home away from home. Warmly greeted by Penny and Paul we stepped into the house and immediately noticed how warm and homely the place felt, the beautiful smells and the perfect interiors. If I could design my dream house this would be it. We were shown to the Northumberland, our room for the night, and I was so happy at how beautiful our bedroom looked. A large comfy bed, a pretty window seat, a fully loaded tea and coffee tray (Simon was thrilled with the hot chocolate! ), 32" TV, hairdryer and the most beautiful Egyptian cotton towels for that added little taste of luxury. Our room was beautifully cosy and so peaceful. We had the most fantastic night's sleep snuggled up in our comfy bed. I'll admit when we woke up in the morning my first thought was how much I didn't want to have to hand the keys back. Our ensuite bathroom was a great size with a lovely hot shower to refresh us in the morning. 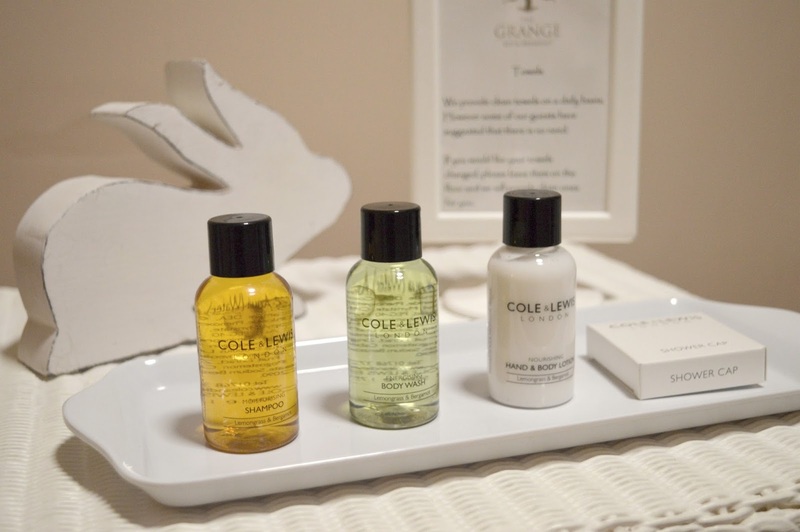 I enjoyed using the indulgent products that were left out for us and I just wish that I'd had the time to take a nice luxurious soak in the bath. The other bedrooms at the Grange are equally beautiful, each individually styled with a comfortable and luxurious feel with plenty of space to accommodate families, couples or groups of friends. 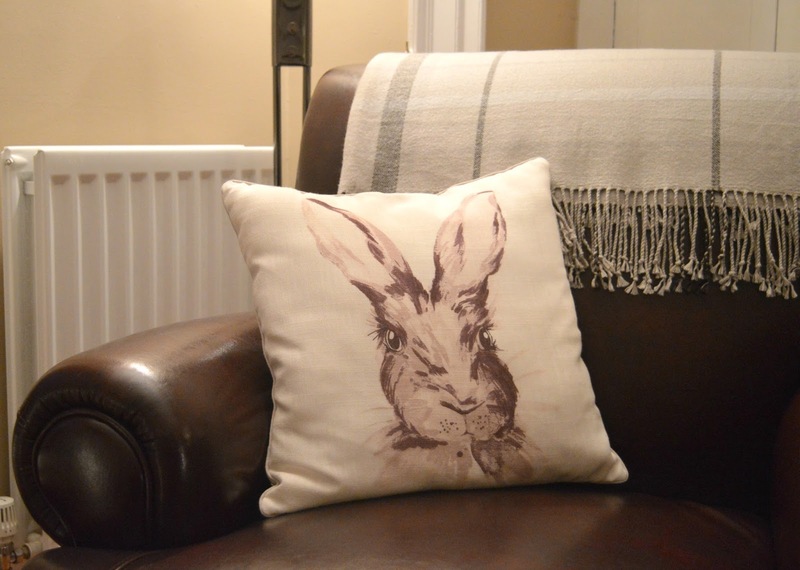 If our beautiful bedroom wasn't enough guests also have exclusive use of a lounge with a feature fireplace, two huge sofas covered in the kind of cushions you get lost in, cosy armchairs and a wooden table scattered with plenty of my favourite local magazines. I made it my mission to read them all in one evening! Although it was tempting to hide away in our room all evening we were so glad that we made use of the Guest Lounge and if you're planning to stay yourself I'd definitely recommend using the lounge as it's the perfect place for an evening of rest and relaxation. There are four acres of private grounds at The Grange for guests to enjoy. 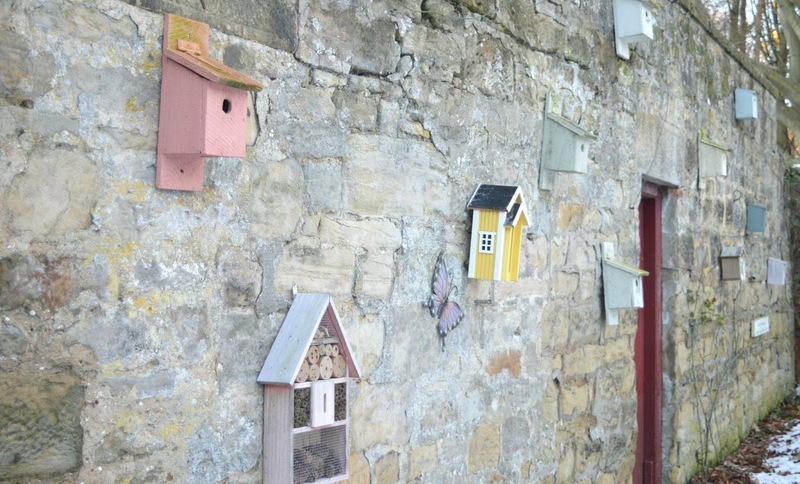 The beautiful walled garden is a peaceful place to escape and unwind during your stay. 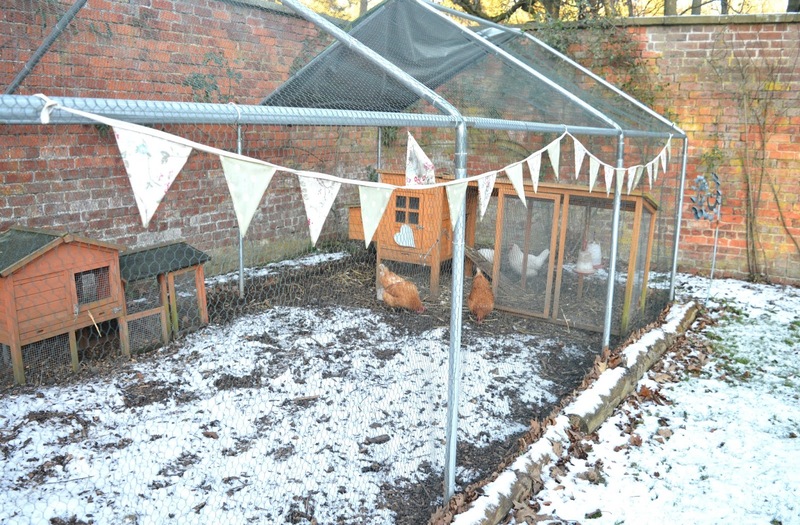 We were lucky that we'd had a sprinkling of snow the day before that made the garden look truly magical. With lush lawns, a wall of brightly coloured bird houses, chickens to chat to and a picture perfect summerhouse to enjoy, I can only imagine how idyllic it must be during the Summer months and I'm definitely heading back in Spring to take a look at the impressive display of flowers that will be in bloom. 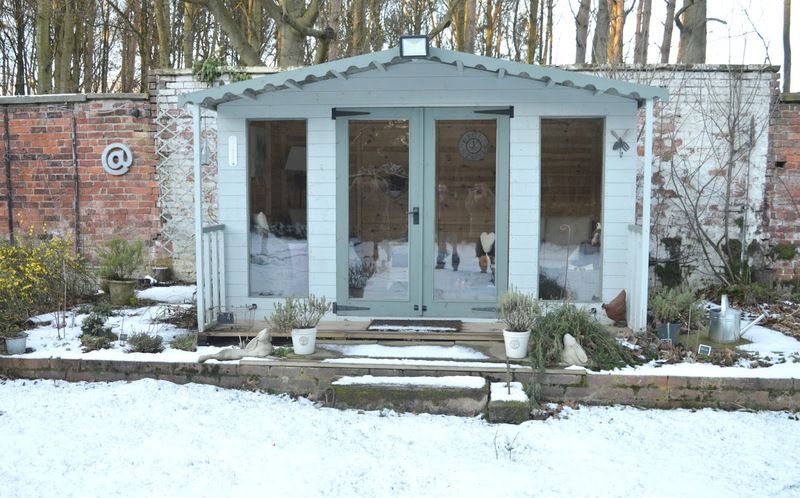 For those lucky enough to be visiting during the warmer weather there's a BBQ available for guests to borrow and you could even enjoy Penny's Afternoon Tea in the summerhouse. 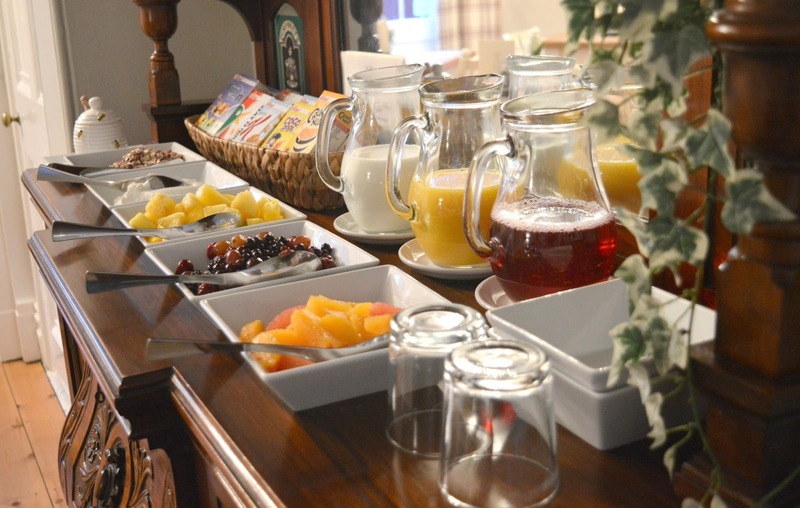 Breakfast time at The Grange is a real treat. Served in the pretty Breakfast Room, we felt like we were dining in a beautiful country kitchen - we couldn't have asked for a more relaxing start to our day. 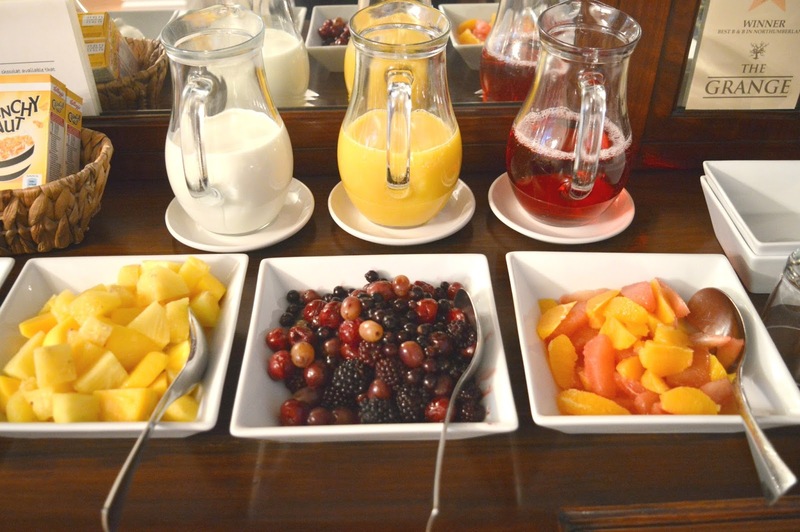 We began with a visit to the buffet where we found a great spread of fruit, cereals and yoghurt. When you're away from home it is, of course, perfectly acceptable to have a long leisurely breakfast that stretches over several courses. 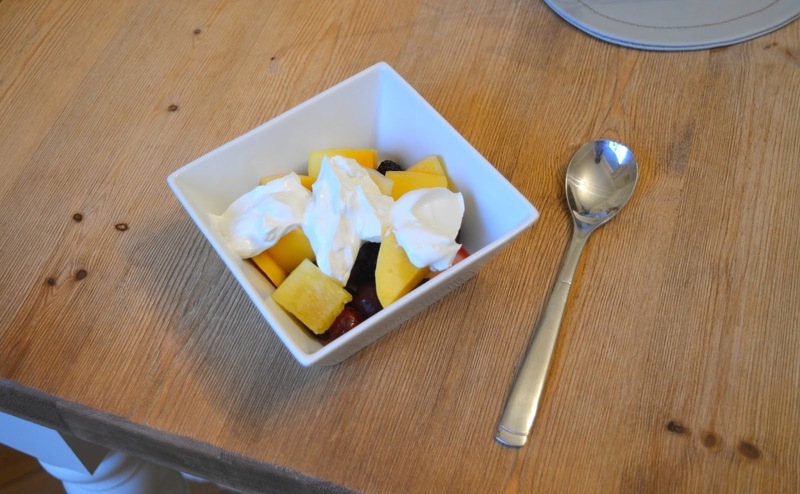 Normally in this kind of situation I'd be straight for the Coco Pops but the colourful display of fruits on offer made me crave a healthier kind of start to breakfast so I happily made myself up a fruit salad which I covered in a generous dollop of yoghurt. The Grange have actually inspired me to start eating more fruit at home and since our stay I've started making my own fruit salads as a mid morning snack. 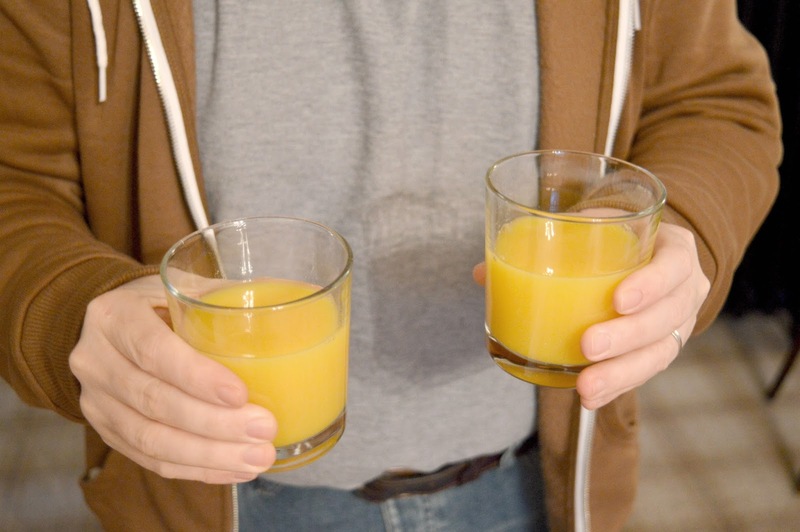 Enjoyed with a glass of fruit juice we settled down to read the breakfast menu. 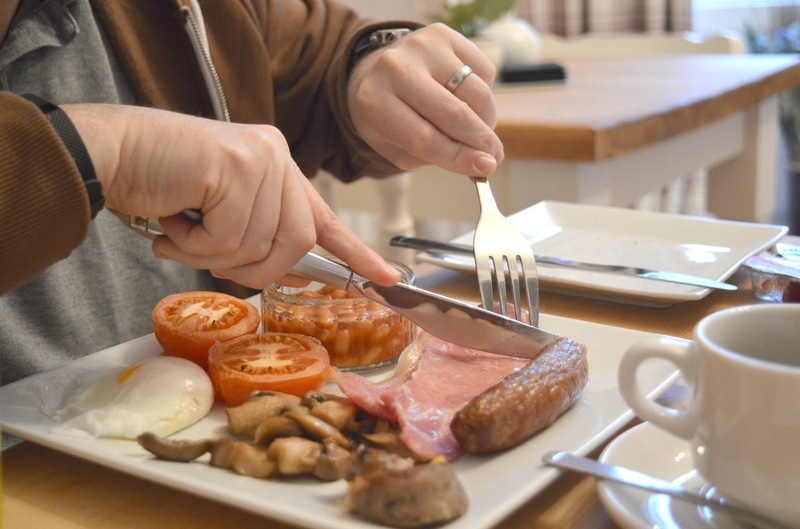 There was plenty on offer but it was the Blagdon Breakfast that caught our eye - we were in the mood for a full cooked breakfast to start our day so put our order in. As we waited we happily munched on doorstep slices of toast which I covered in far too much butter and jam - when you're away on staycation calories just don't count! A short while later our Blagdon Breakfasts appeared, served on piping hot plates. Being someone who loves to photograph food I quite often end up eating meals cold but the Breakfast at the Grange stayed hot even after I'd photographed it from every angle. What a dream! 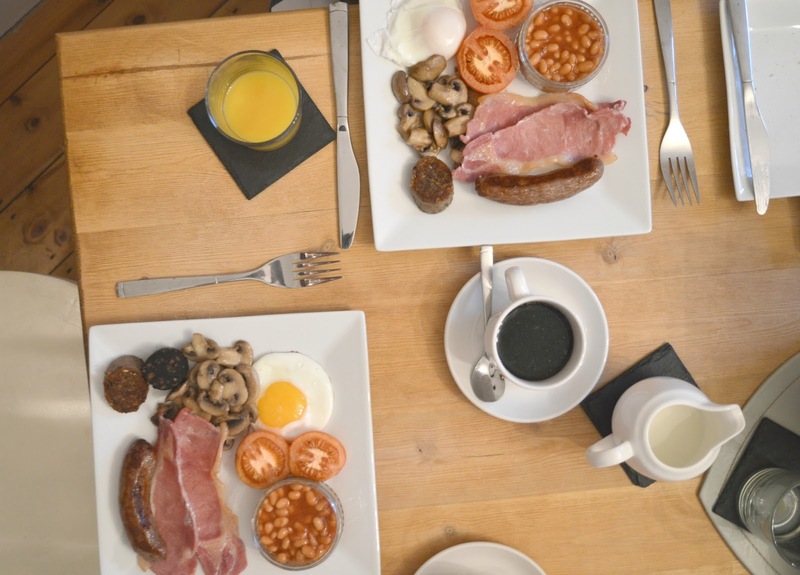 The Breakfasts at the Grange B&B are made with delicious local produce including fresh eggs from the hens in the walled garden, sausages from the Blagdon Butcher and coffee from Pumphreys. Simon and I have enjoyed many breakfasts over the years but the Blagdon Breakfast was one of the very best we've ever had. We've since been wondering if Penny and Paul would mind if we popped round for breakfast every day! The biggest surprise of all at the Grange is how little it costs to stay. 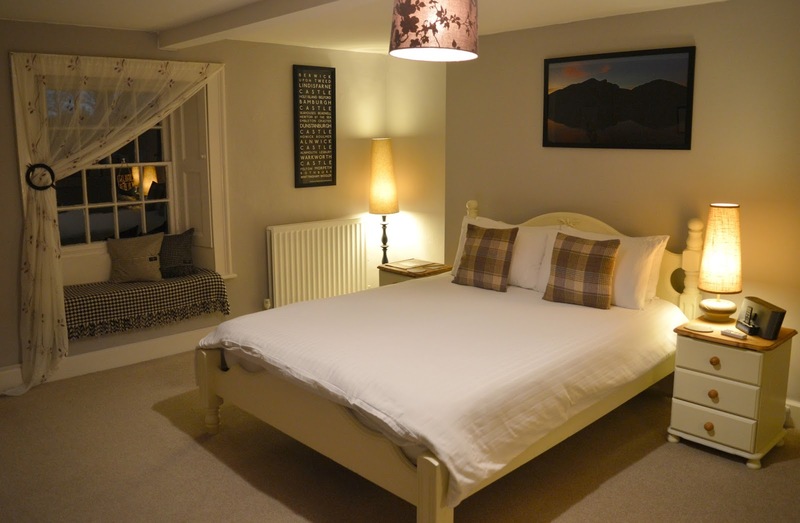 Rooms are priced from only £100 per night so you really are getting a taste of luxury for a very reasonable price. For those celebrating a special occasion there are also some great additional packages including Penny's Afternoon Tea (£15.00 per person) for guests checking in between 3:00 pm and 5:00 pm and the Opulence Package (£40.00 per person) which includes a plush bathrobe and slippers for use during your stay, flowers, Champagne and hand crafted chocolates. 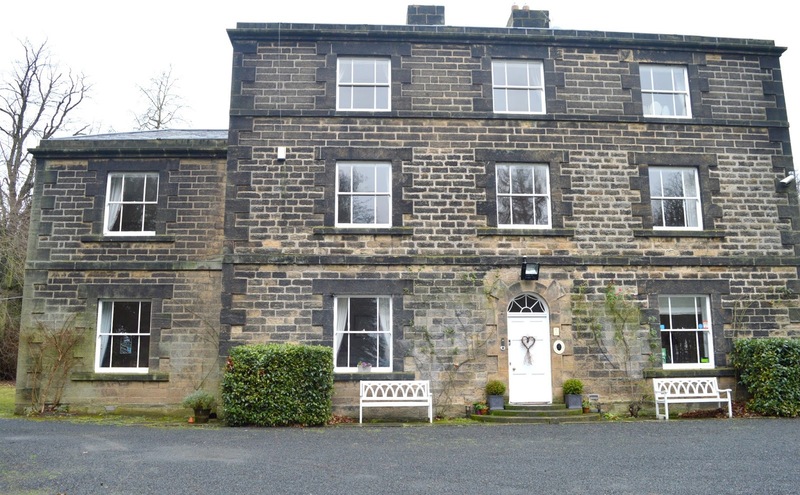 Click here to book your stay at The Grange Bed and Breakfast or alternatively call 01670 789 666. We left the Grange Bed and Breakfast feeling completely relaxed and like we'd made some great new friends. 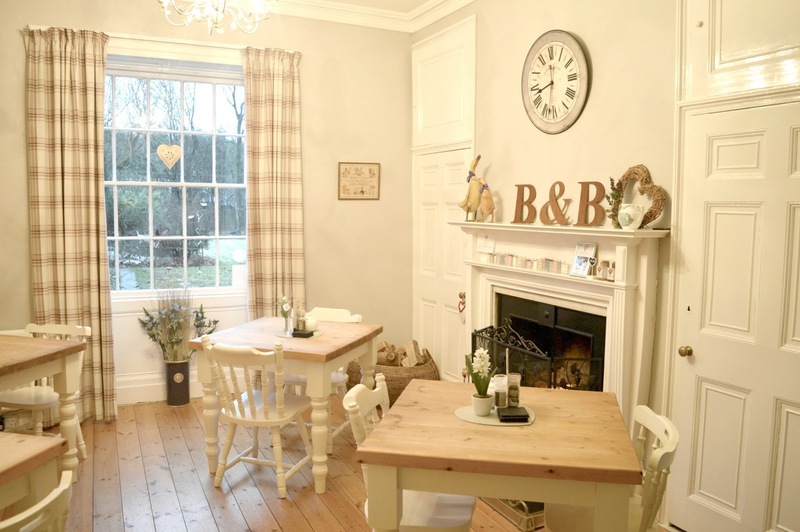 When you leave a B&B feeling like that you know you've found somewhere truly special. It may only be down the road from our house but we're already planning another visit before the year is out. We're so happy that we've found somewhere so beautiful to spend staycations. 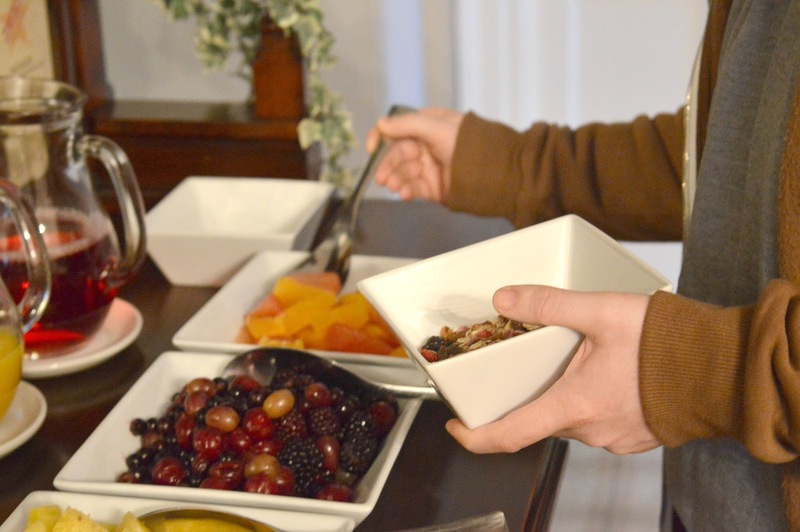 We received a complimentary night's stay at the Grange Bed and Breakfast. All thoughts and opinions are our own.